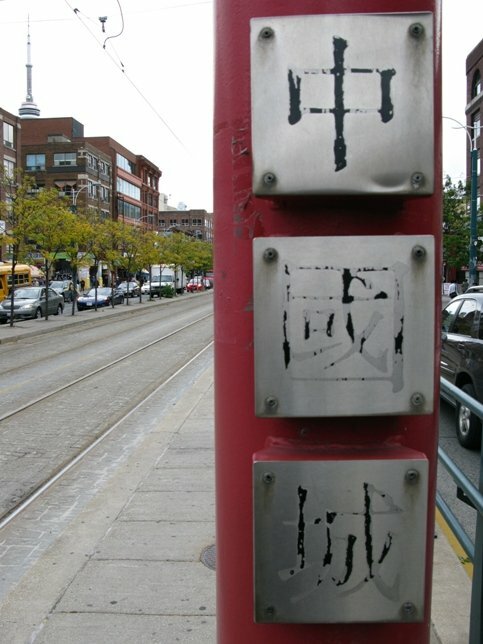 This pair of allegorical doors were created to identify the limits of Toronto’s Chinatown, the neighbourhood name for this now predominantly Asian community. Gateway is based on the ancient script form of the Chinese characters for’ gateway’ and uses the supporting poles as part of the calligraphic notation for the word. 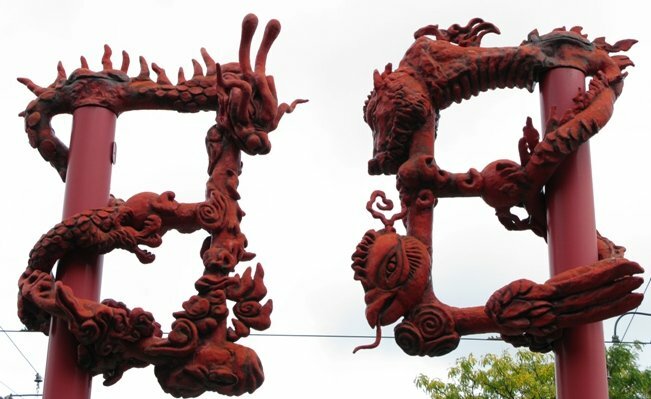 The upper portion of the character depicts four intertwining and metamorphosing venerable mythological figures, cast in fiberglass: Feng Huang (associated with the Phoenix), Long (Dragon), Sun Hou Zi (Monkey King) and Qilin (associated with the Unicorn). This linguistic lexicon has the same meaning in Korean, Japanese and pre-colonial Vietnamese, reflecting historic as well as contemporary cross-cultural pollinations. 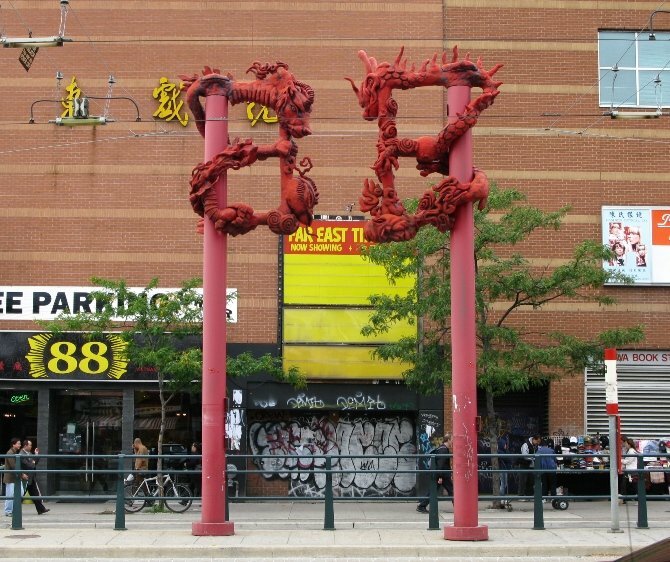 The metaphorical gateways signal the transition from one community into another and reflect the social heritage of Spadina Avenue, where, traditionally, one culture displaces another as new waves of immigrants arrive in the city. In Mandarin, Korean, Japanese and pre-colonial Vietnamese; the characters mean "door" or "entry" in of all those languages.